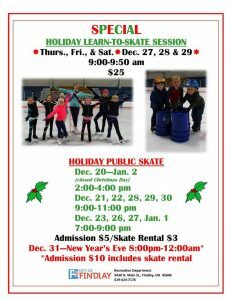 We hope you can public skate over the holidays between Dec. 20 and Jan. 2 from 2:00-4:00 pm. Closed on Christmas Day. Admission $5 and skate rental $3.